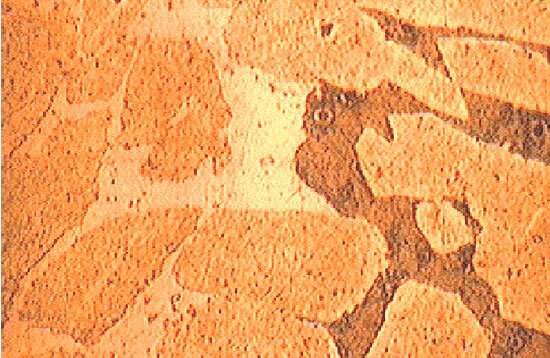 Micrographic appearance of a dezincification of brass. The most well known example is the dezincification of brass (e.g. 70Cu - 30Zn). In this case, the brass takes on a red coppery tinge as the zinc is removed. It also becomes porous and very brittle, without modification to the overall dimensions of the part. This problem can be overcome by choosing an alloy that is less prone, such as a copper-rich cupro-nickel. 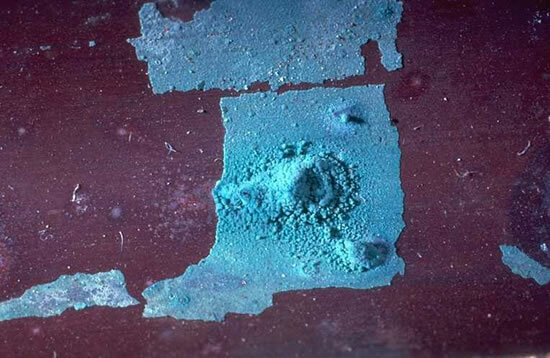 Brasses with lower zinc contents or containing elements such as tin (1%) and/or small quantities of arsenic, antimony, or phosphorus have much greater resistance. 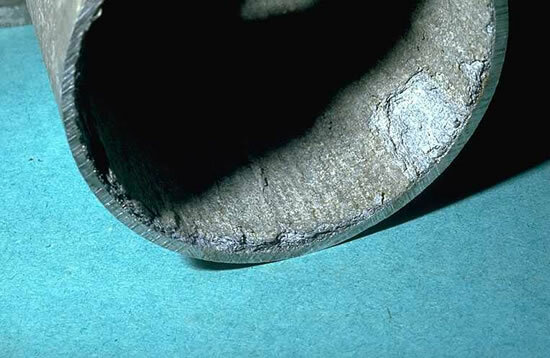 Numerous other alloys are susceptible to selective corrosion in certain conditions. For example, denickelization can occur in Cu-Ni alloys, and dealuminization in aluminium bronzes, while the graphitization phenomenon in grey cast irons is due to slow dissolution of the ferrite matrix.